Earn 70 points to spend on future purchases. At the heart of the iQ Blue Mask, the AIRgel nasal cushion maximizes comfort and minimizes weight. 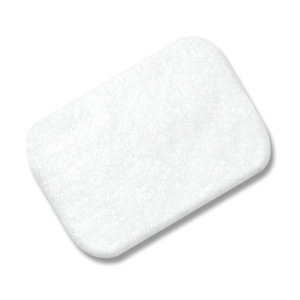 AIRgel gets closer to the skin than any other CPAP mask gel; providing a soft, luxurious fit while protecting the face from pressure points and irritation. The iQ mask's soft outer shell can be easily squeeze, shaped and molded to properly support the AIRgel cushion and provide a truly custom fit. iQ Blue's minimal design provides a clearer field of vision than most CPAP masks. A single, soft strap attaches the mask to the headgear's forehead straps allowing the user to easily watch television, read, or wear glasses while wearing their iQ Blue. Because there's no hard forehead support or pad the iQ Blue is easy to adjust so you'll be quickly on your way to a more comfortable night's sleep. Each iQ Blue comes complete with light, breathable StableFit Headgear. StableFit Headgear is adjustable; and once you've found your best fit iQ's Quick-Release design means you can easily take the mask off and put it on without making any further adjustments. It's even easy to take off with one hand! The iQ Blue CPAP Mask is available in a single size that is easily tailored to fit a wide range of faces. It is a great option if you're looking for an easy to use mask with a quick, custom fit. The iQ Blue, like all Sleepnet masks, is proudly designed and assembled in the USA using environmentally conscious production practices. Not as soft and pliable as ilustrated. Air blows up into the face and eyes, causing dryness. Not for me. The only mask I use. I found this product over 10 years ago and its the one that I come back to every time I need a new mask. 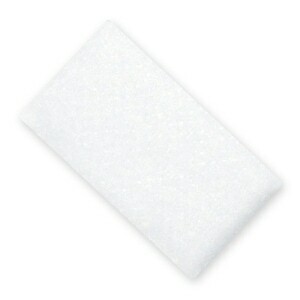 Easy to use, no sore spots on the bridge of my nose or forehead, less parts to break in the middle of the night. I usually get at least 6 months of use out of each mask. Great product at a reasonable price. I have used this mask for years & this is the best location to purchase it!! Have used this mask for 15 years, never let me down. This one is so unique. After been using and testing different CPAP masks of all stiles, NOTHING has been so good, comfortable and efficient as this. At the beginning I thought it didn't work, but then realized the option of modifying its shape to better accommodate it to my ergonomics. It is so good that I ordered another one as a backup. Could not get the thing to seal around my nose. Every time I moved I had to readjust. This woke me up every time I moved. Did not get a good night's rest. I am returning it. For me, it was a poor fit and design. Very uncomfortable. It may work fine for someone else. This mask is one-size fits all, and it is one of the few masks that has actually worked for me. Unfortunately, my local provider does not offer it, but I'm happy to buy from Direct Home Medical. It has a poor gel protection, producing pain and disconfort after few hours by the plastic frame over my nasal bridge, so I wake up many times during the night to replace. 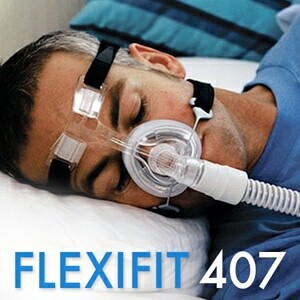 I have used the SleepNet IQ Blue Gel CPAP masks for several years now and wont buy anything else. 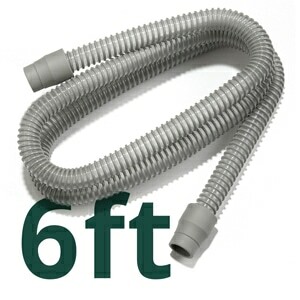 I tried many other types but this is the only one that I have found that I can side sleep in without leaks. It is very comfortable and conforms nicely to the shape of your face. The only negative is that the connector hose splits before the mask needs to be replaced but you can use thin white electrical tape to extend the life of the hose. Best mask ever made. Comfortable and quiet. Ordering it was a breeze. I will order from Direct Home Medical again. As far as masks go, this one is the best I've used. 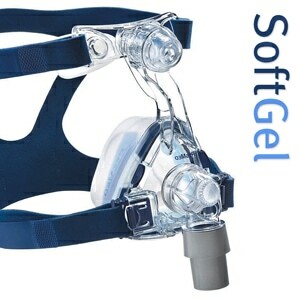 The wire support and gel form effectively around the face contours. I use it nightly and only have to replace it every 2-3 years. My face and especially the bridge of my nose are small. The flexibility of this mask allows me to adjust it for a proper fit. After MANY failures, I have used this mask for 10 years and it has been the perfect solution for me. For me, this is the best mask I have ever used. Most others are too large for me, but this one is perfect.